Believe it or not, the sort of exchange illustrated above not only is common in job interviews across the globe, but is particularly prevalent in software circles. For this reason, SPG would now like to introduce a few simple, but highly effective suggestions to assess potential vendors and bring aboard the best developers. Like a picture worth a thousand words, a portfolio will always have a lot more to say about a team’s collective abilities than a simple job interview could ever convey. For this reason, when hiring, we recommend taking a good, long look at each candidate’s body of work. On that note, by the way, a series of small, consistent projects tends to be far more significant than a single major achievement, as this will usually indicate greater knowledge, cases, experience and overall speed of development. Yet to simplify things, as a rule of thumb, if a team’s portfolio has a minimum of 3 to 5 projects individually implemented over a period of two years, then you are likely to be fishing in promising waters. 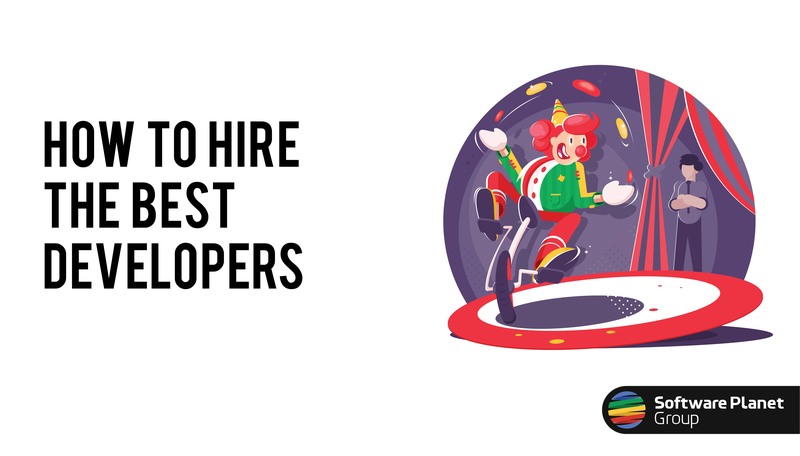 Considering the fact that it is the largest host of source code in the world, odds are that at least a few of your potential hires have already uploaded their projects to Github. Thus, we recommend requesting from developers a link to their joint or personal Github accounts, as this will serve as an accurate representation of your team’s individual capabilities. Although many projects are protected by non-disclosure agreements, you can always ask vendors to provide your company with a helpful selection of insightful code snippets. These may then be evaluated by a technical specialist who should be able to let you know if the team lives up to your standards. But bear in mind: these snippets will always showcase the very best work that your candidates have to offer, so do not expect that the code used in your project will in any way be better than the samples which you have seen. Unfortunately, however, a lack of focus on results is not the only thing standing in the way of more sensible hiring procedures. For example, customers are often tempted to compare providers by focusing solely on their hourly rates — but this is wrong on a number of levels. Imagine, for instance, that a team charges £60 an hour while its main competitor provides the same services at an hourly rate of just £40. Though it may seem obvious that one should go for the lowest price tag that is currently on display, in reality, this process is significantly more complex. In addition to dealing with a global market with vast technical differences and wildly varying rates, perhaps the team that is charging more will also be equipped with superior performance. This, easily, would lead to better and faster results, and in the long run, would probably end up saving you a great deal of money. At the same time, a less expensive but equally less experienced team will likely generate huge quantities of technical debt, and as a result, slow down development. Yet another mistake is that candidates are frequently — unfairly — evaluated based on the level of their spoken and written English. But of course, a programming language is called that for a reason, and consequently, one’s native tongue has little to nothing to do with the quality of one’s code. In fact, suboptimal English is more than made up for by the sheer robustness of the final solution. So while adequate communication skills are undoubtedly a must, never assume that just because you benefit from a well-versed team of Shakespearean volubility, that their standard of performance will somehow prove better. In the end, however, as we hope you have learned today, actions still speak louder than words — so whatever you do, moving forward, make sure you don’t behave like that foolish circus director! Instead, by following Software Planet Group’s simple recommendations, you can turn your attention towards palpable results and guarantee the standing ovation that your product so deserves.